Commentary: The eternal desire of people from ages long ago is to live longer, healthier and look younger. The skin being the most visible organ makes its minute ageing process very obvious. 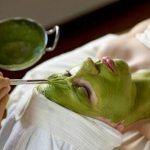 The use of homemade regimens and plant extracts has been in practise for centuries in some ancient communities. 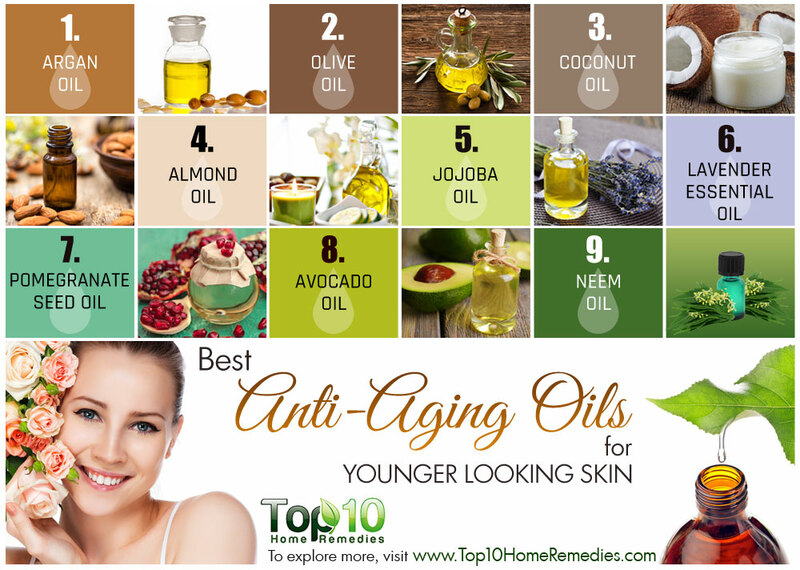 Some of the antiaging oils exert their influence on the skin by their antioxidant potencies. These antiaging skin oils are able to scavenge free radicals, promote the synthesis of collagen matrix and inhibit enzymatic degradation, thereby leading to protection of the skin matrix. Certain steroids and isoflavones present in this oils are known to induce firming effect on the skin dermis and the surrounding musculature, thus restoring skin elasticity and ultimately smoothening out wrinkles. Although there are numerous anti-aging products available in the market, most of them are expensive and include harmful chemicals that will damage your skin if you use them in long run. Instead of relying on these beauty products, why don’t you try using natural anti-aging oils? 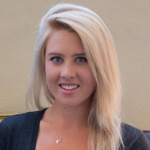 In this article, I will show you a few anti-aging oils that help to give you a younger skin. Let us check them out!! Not only does jojoba oil give anti-aging benefits, but it also is considered as one of the hydrating oils. This oil contains various vitamins, such as C and E, which help to speed up the rapid regeneration of skin cells for a firm and smooth skin. It is also effective in diminishing age spots, wrinkles, fine lines, and other common signs of skin aging. 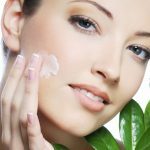 Besides, jojoba oil is also an emollient that moisturizes your skin and prevents the irritation and rough patches on the skin, which are often occurred on an aging skin. This oil has a non-greasy texture, so it is used on all skin types, including acne-prone and sensitive skin. 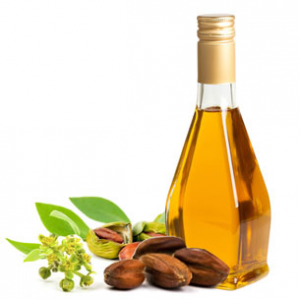 Simply, mix jojoba oil with an equal amount of another massage oil such as almond oil. Then, massage your skin with this oil mixture after taking a shower or bath. Repeat this way for once daily. Or, if you use an anti-aging face pack or mask, you can also add several drops of this oil to it. Pomegranate seed oil is one of the other anti-aging oils for a younger skin and also a part of a natural remedy for skin cancer. You can also use this oil as an ingredient for your own serum recipe. In addition, pomegranates are related to anti-aging, and the pomegranate oil is the most strong form of it for anti-aging. 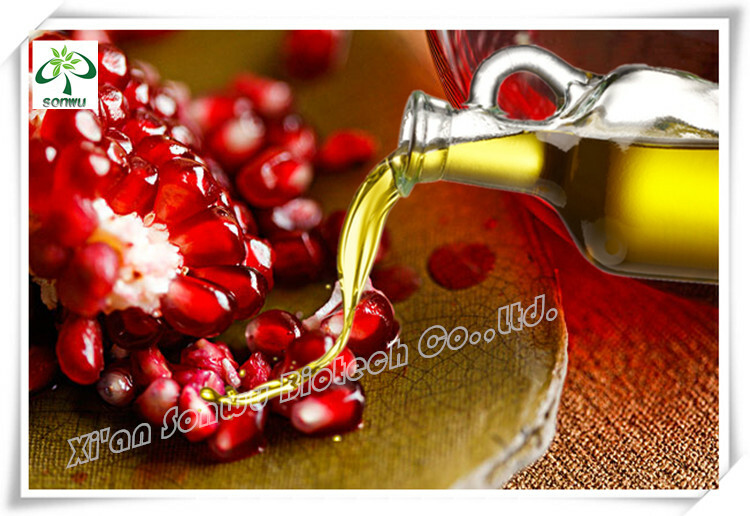 This oil has a dark red color, which is due to the presence of bioflavonoids in pomegranates. This dark color also helps to protect your skin from the sun damage. If you get sunburn after going outside, apply pomegranate seed oil to your skin. It contains natural SPF levels and can be used as a great sunscreen and sunblock. Besides, this oil also contains anti-inflammatory, healing, and antimicrobial properties that aid in supporting the skin health. You can use it on your face and the entire body. It is absorbed very quickly and offers the moisturizing effects to all skin types. Use cold-pressed pomegranate oil to massage your skin regularly for once per day. 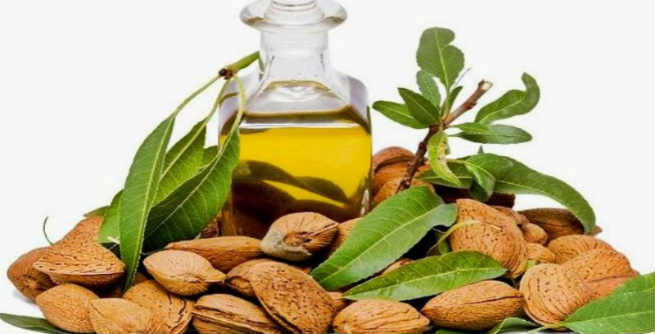 Another type of oil that slows down the aging process and removes wrinkles is surely almond oil. The vitamin E and vitamin K present in this oil are very beneficial in regenerating the skin, maintaining skin elasticity, and improving better blood circulation. According to a study in the NTCP (Complementary Therapies in Clinical Practice) in 2010, the almond oil contains the emollient properties that help to rejuvenate and soften your skin, thus improving skin complexion and tone. In addition, this oil is a natural ultraviolet blocker, which makes it ideal for those who have to spend many hours in the sunlight. Also, in a study in the Jnl of Cosmetic Dermatology in 2007, applying almond oil topically can prevent the skin damage caused by ultraviolet irradiation as well as reverse damage that has already occurred. After taking a bath, massage sweet almond oil on your skin for once per day to slow down the effects of aging. This oil is mild and hypoallergenic, so it is very safe for those who have a sensitive skin. Or, you can apply some drops of warm almond oil beneath the bottom eyelids before bedtime to get rid of wrinkles and dark circles under your eyes. For internal intake, add 1 or 2 tablespoons of sweet almond oil to a glass of warm milk and then drink it daily. Or, drizzle it on salads or mix it with your smoothie. Coconut oil contains vitamin E, an antioxidant that makes it among the excellent anti-aging oils for preparing an anti-aging serum. It also contains medium-chain triglyceride lauric acid, which is known to be the healthiest oil for the skin and body. 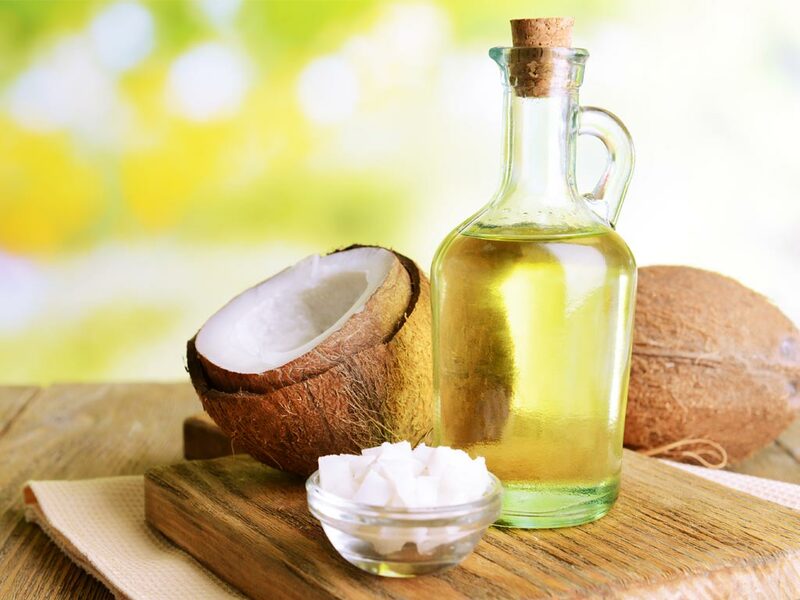 Besides, coconut oil also helps to reduce a few common signs of skin aging and strengthen the epidermis against cellulite, which can fade away stretch marks and remove keratosis pilaris. This oil is also a natural sunscreen, so it can be used to protect your skin from the sun damage without using other harmful chemicals. Simply, use coconut oil to massage your body after taking a bath or shower. This helps the skin to retain its moisture. Repeat this method daily. 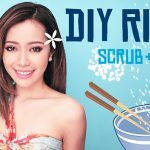 You can also combine coconut oil and granulated sugar together to make a body scrub. Use it to gently exfoliate the skin for once per week. Also, add 2 tablespoons of coconut oil to your daily diet to prevent diseases related to age and keep your body healthy. Rosehip seed oil is most famous for its high content of vitamin A, also called all-trans retinoic acid. This vitamin is known for its ability to relieve the depth of wrinkles, lighten age spots, fade away fine lines, and promote the healing process of damaged skin by stimulating the growth of new cells and production of collagen. This oil also contains essential fatty acids such as omega-3 linoleic acid and omega-6 linolenic acid that are very effective in improving the skin appearance, elasticity, and texture. In addition, because it is lighter in weight compared to many other botanical oils when used on the skin, it is perfect for people who want to get a flawless skin without the appearance and feeling of an oily skin complexion.